The Four Stripe damsel is a very aggressive fish that gets about 3 inches. 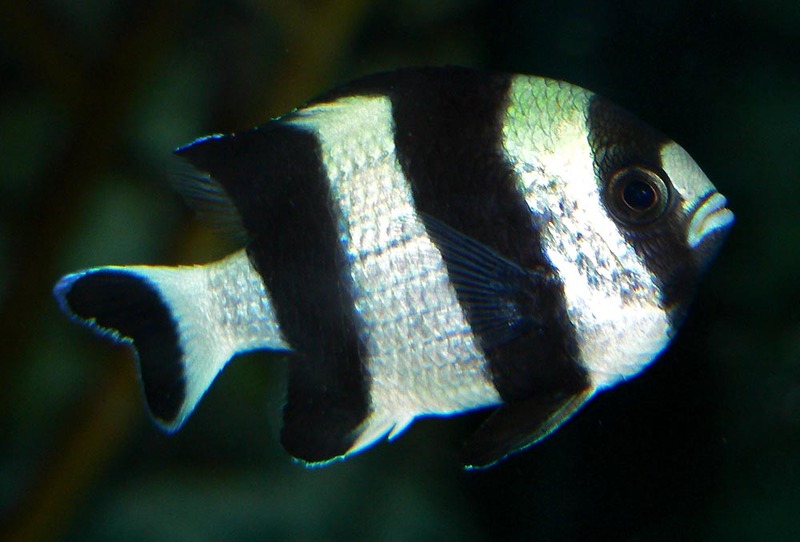 Caution should be taken when placing one in a tank as they are very aggressive and can attack other fish, taking control over the tank. They can be kept in groups but you need to introduce them together. Similar to the Three Stripe damsel.